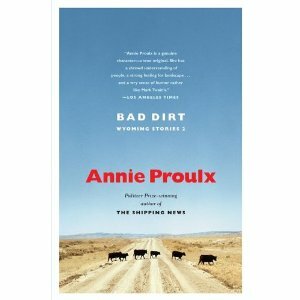 Oh how I love Annie Proulx's writing style. Bad Dirt is a collection of short stories mostly based around a small Wyoming town. Proulx is funnier than I'd expected. I loved the story about the trucker hauling hay bales or the fad for homemade hot tubs. Nonetheless, a lot of the stories are still dark with a hard edge to them. They kind of reminded me of small town living and the characters that inhabit those spaces. Very enjoyable!